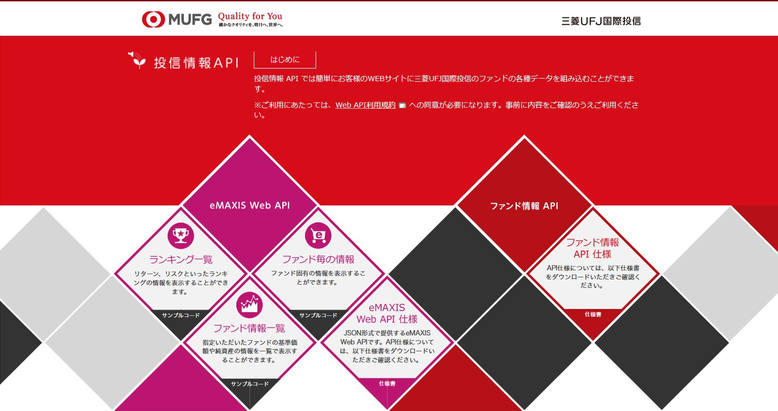 CData API Server powers Mitsubishi public Fund API infrastructure to support quick, low-cost Fintech development and operations solutions. 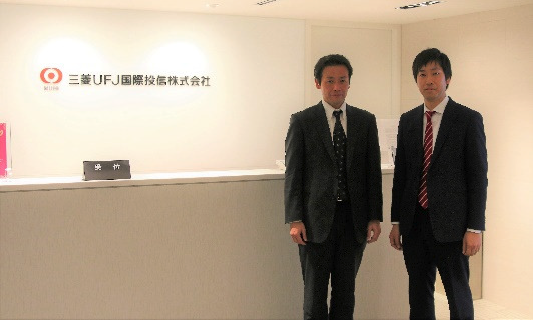 Mitsubishi UFJ Kokusai Asset Management (MUKAM) chose CData API Server as their Fund API infrastructure to support quick, low-cost development and operation of Fintech / Open Innovation solutions. MUKAM released Fund APIs allowing their users to retrieve fund-related information for all MUKAM Investment Trusts, such as reference prices and net assets. Delivering this information as an open API is an industry-leading move. By providing APIs, MUKAM's clients, investment trust information providers and analysts can rapidly receive information in the formats they want. "To be honest, it's hard to comment on the experience with CData API Server, because all the development was done so quickly and without any complications." Huge scope to cover all existing investment funds and public offering investment trusts. Lean start, as this is a brand new industry in Japan. Innovations to move Fintech / Open Innovation forward. Used CData API Server with existing RDBMS data store. Delivered full-featured public REST APIs on time, and under budget. For the full story on MUKAM's bold project, CData recently interviewed MUKAM's lead on the Fund API project, Mr. Murayama, Senior Manager IT Innovation Group IT Planning and Management Division at MUKAM. Q: What was the purpose of providing Fund APIs? 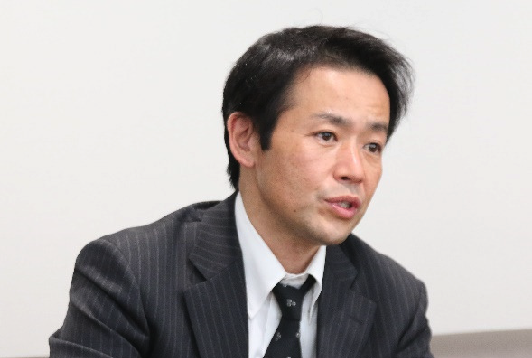 Mr. Murayama: In Japan, investment trusts as a financial instrument aren't as popular as deposits. We think one of the reasons is a general lack of public knowledge of investment trusts compared to deposits or stocks. We have a mission to improve the understanding of investment trusts by providing more useful information, together with the investment fund information portal sites and analysts. What they want to see is not only MUKAM fund information but comparisons with other funds using real-time analytics. Web API is the best way to provide timely and easy-to-use information to our various information users. By MUKAM providing public APIs, we hope other companies in the industry will follow the Open API trend and investment fund information will improve in quantity and quality. For this reason, we're providing fund APIs as open (free) APIs. We're not looking at short-term fees from APIs or from the lens of MUKAM only; our industry as a whole needs a breakthrough in Fintech and in Open Innovation. Q: What were the reasons you selected CData API Server? Mr. Murayama: Providing Fund APIs has been on our minds for years. But the scope of disclosing information from more than 700 investment funds is huge, and our estimated costs and delivery times would be equally large. Also, since providing Fund APIs is not a common industry practice, we needed to start small, fast and flexible, rather than develop a large project with complete specs. CData API Server is the only tool available to rapidly develop industry-standard, professional REST APIs at a reasonable cost. Having a wide variety of data sources was another great thing about API Server, because we trust it to meet the current and future needs for API data sources - both inside and outside of our company. Q: How was the experience using CData API Server? Mr. Murayama: To be honest, it's hard to comment on the experience with CData API Server, because all the development was done so quickly and without any complications. We focused most of our development resources on the source data set development. The fund information dataset is complex, and we have to ensure data integrity in every daily refresh. This requires developers who know our data well. CData API Server took care of all the other work, such as setting up REST endpoints, API document generation, query methods and OData compliant parameters. Eventually, we'll add more output formats because our users analyze data in various data formats. They used to spend time and effort converting different data formats to the ones their applications use. Now, CData API Server works with various data formats, so users can retrieve the data they want in the exact formats they want. Q: What do you plan next for the API-related development? Mr. Murayama: This phase was focused on publishing basic investment fund data, such as reference price, net assets and change rates. Over time, we'll organically combine those with secondarily obtained data, such as website logs, etc., and create new data values, since the CData API Server allows us to integrate remote data like they're in the same site. We trust that CData API Server will support our future plans as we create more data plans. Connectivity is our Core: Any source, Any technology, Any platform. CData Software (www.cdata.com) is a leading provider of data access and connectivity solutions. We offer a straightforward approach to integration, with easy-to-use, data providers, drivers, and tools available from any technology capable of interacting with major data standards. * All product names, trademarks and registered trademarks are property of their respective owners. All company, product and service names used in this website are for identification purposes only. Use of these names,trademarks and brands does not imply endorsement.